I first encountered the brand Esfolio a couple of years when I was given a bunch of their sheet masks as pasalubong from Korea. After using a couple of masks that I felt lukewarm about and knowing that the brand wasn't available locally, it slipped to the back of my mind. Fast forward to 2018, Esfolio arrived at our shores and the local beauty community was abuzz with talk about their affordable but quality products. This brought back those old memories, and so I decided to find out more about why people are raving about Esfolio. Before I tested out the cleansers on my face, we tested the pH level of each one first and found that they all registered as 10. As advocates of low pH cleansers, this automatically puts a big red flag sign on these washes, but for in order give a fair assessment, I decided to still use them anyway. These cleansers form a rich lather that left my dry and sensitive skin feeling squeaky clean and tight, which is not what good skin should feel like. After a couple of uses, I developed a couple of pimples on my forehead and one on my cheek. So this cleanser is a hard no for me. It also has a heavy herby scent so I also don’t recommend this for those who have sensitive noses. These peeling gels were a very pleasant surprise! 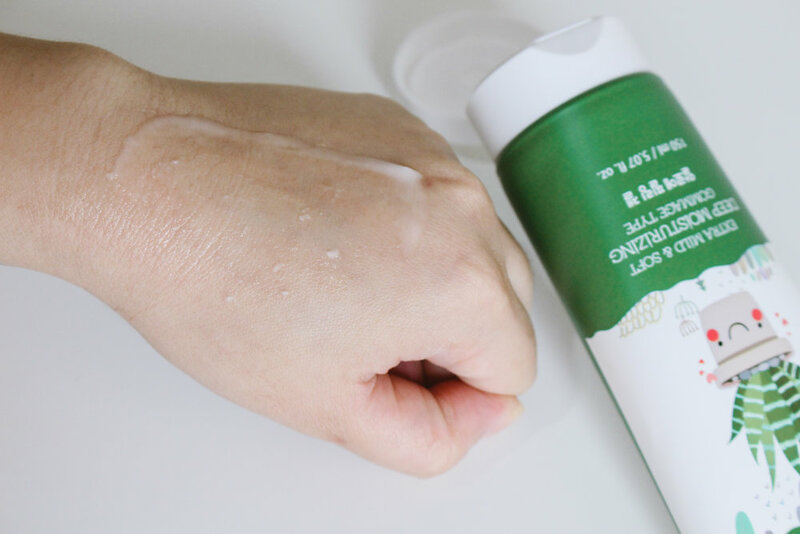 Physical exfoliation is just as important as chemical exfoliation, and gommage is what I believe to be the best way to physically exfoliate your skin. It’s not as abrasive as scrubs, but still gets the work done. The Aloe variant in particular made my skin feel super refreshed without stripping moisture. Plus, I didn’t break out! I’ve been using this peeling gel both on my face and body, and I feel so refreshed every after use! Now we’ve come to the brand’s star products: their sheet masks. Esfolio currently carries two sheet mask lines: the Bandage Facial Masks (P84 each) and the Essence Mask Sheet (P54 each). The Essence Mask sheet has a slightly thick cotton sheet with a runny transparent essence. It feels adequately moisturizing for my dry skin but nothing special. I need to note that the scent of these masks, especially the Herb variant, might come off as too strong for those with sensitive noses. The Bandage Facial Masks is a totally different story. These sheet masks come with a bit more viscous essence and a thinner cotton sheet that doesn’t tear easily. The sheet fits my face so well, as if it’s made for me alone! The Moisture variant, which has centella and hyaluronates, is definitely a favorite as the essence is slightly thicker than the other variants and is so deeply moisturizing. My skin has been feeling extra dry due to the cold weather but this mask makes it feel so hydrated, bouncy, and soft. The Whitening Facial Mask provides a bit of glow and brightens my skin a little right after use, giving life to my dull skin. The Relaxing variant helped my pimples ripen faster and thus heal and fade faster, I think because it has centella and madecassosides that are good for acne-prone skin! Meanwhile, the Nourishment Facial Mask is less stunning compared to the other variants but still feels refreshing nonetheless. If you're looking to try something from this brand, I would definitely recommend the Moisture Facial Mask and the Relaxing Facial Mask. These two are super sulit because I saw immediate results that lasted until the next day! Have you tried Esfolio? What’s your fave product from the brand? Esfolio is available in Watsons and on BeautyMNL.